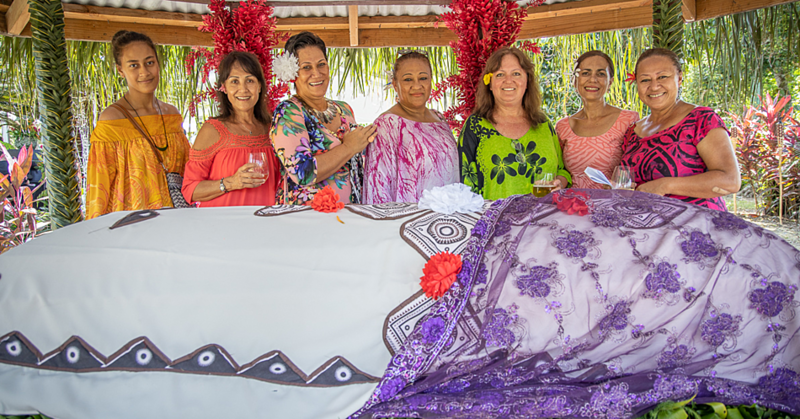 The status of the feagaiga, or the sacred covenant, the sister as the apple of the brother’s eye is not enough to protect “all “women from the prevalence of domestic violence in Samoa. 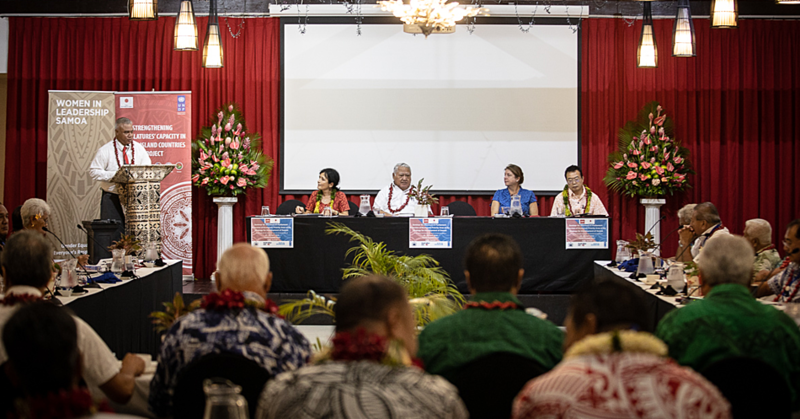 This is according to Professor Tagaloatele Peggy Dunlop, Professor of Pacific Studies at Auckland’s University of Technology, in delivering the keynote address, at the second day of the 4th Samoa Conference at the National University of Samoa. The Professor based some of her research on the recent first Commission on Women’s rights where a steep increase of family violence was presented. Among the most vulnerable to violence according to her research were young girls, and particular the nofotane, or women who are married into other families. According to the professor, women were prevented from sharing their stories by the mentality of families to hide and silence what has been happening to protect the family status, undermining the emotional impacts on them and their children. This highlights the urgency of seeking answers. Professor acknowledges the legal processes set up by the state to address this problem. However the professor said that rearranging a few tasks and changing a few roles, will not provide a solution. She said we should go back to our family structures, and reevaluate how we value relationships with others in the past. 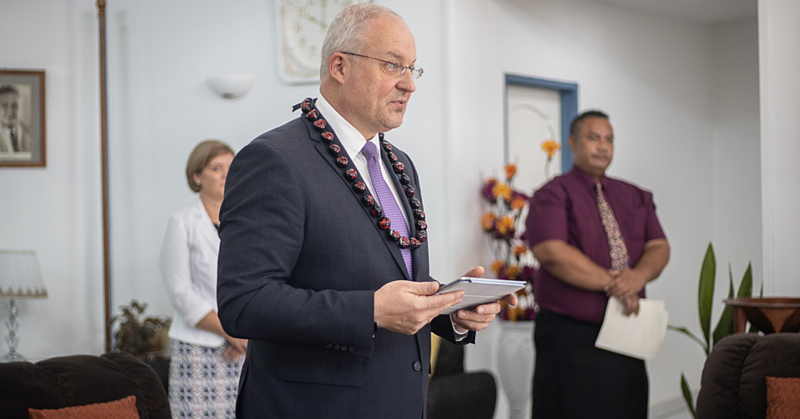 One of the practices in the faásamoa which should theoretically prevent violence against women in Samoa is the women’s sacred status as the covenant or the feagaiga the apple of the brother’s eye. However the professor claim the feagaiga is no longer enough to safeguard women from violence. This feagaiga can never stop the domestic violence that women are facing today. The professor was unable to determine exactly when the status of the ‘feagaiga’ stops being a force to prevent domestic violence. She claim however that the feagaiga only protect somebody’s sister, and not the wives. In the question and answer session, some says feagaiga stops when the sister gets married however some says it only stops when the sister is no longer living. According to the Vice chancellor of the National University of Samoa professor Fui Leapai Tuua ilaoa Asofou So’o the feagaiga is now relegated to the periphery because the realities and contexts that it was related to are not there 100%. He said it was relevant in the old times, times of wars, conflict, strategies, deciding who to hold the matai titles. 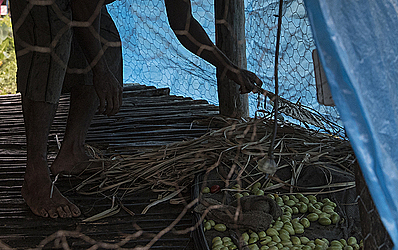 “Now we have customary laws now to take care of conflicts. So the feagaiga relegated to the periphery. It is up to us Samoans to decide what to hold on to and what to let go,” commented the Vice Chancellor. “The wives and the sisters have the right to be safe. Women should be free from violence and harm”, says Prof. Dunlop. Prof. Dunlop said we need to find a system that prevents family against “all women” not some women.